For years I described things relating to Ronald Coase as “Coasian.” Walter Block continually needled me about this, insisting the proper spelling was “Coasean,” but I resisted. Now I see more people using the latter spelling, and I’ve started using it myself. But which is correct? I beats e, but not by much, in a Googlefight. But I think a more targeted crowdsourcing arrangement is warranted. So, dear O&M readers, which do you prefer? Vote below. Addendum: Thanks to Scott for pointing out that this was debated before at Volokh, where many of the critical issues — and the most obvious snarks — were already presented. To me, the fact that Coase himself, and people at Chicago Law, use “Coasian” seems a pretty strong argument in favor of the non-standard spelling. But one can make a good case for either. Entry filed under: - Klein -, Ephemera, People. It is standard that if the name ends with an E that it be -ean rather than -ian. Both Medema (who wrote the biography on Coase) and Shleifer in repeated papers that are well cited (including his QJE paper with Glaeser use Coasean. Who uses it the other way and is that being picked up in economics literature or in the law literature? Google scholar overstates “scholarly” impact factor, while SSCI underestimates in my opinion. But there is something to the factor that it is not only numbers, but also who is represented in those numbers that matter. I’ll be interested to see the results of your survey. Peter, I vaguely remember seeing something in print about this but can’t put my finger on it. 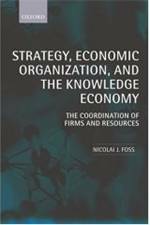 In any event, Medema also has a book with titled Coasean Economics. Thanks Scott, I’m adding this to the main text. Yes, but did Walter offer you a payment to switch? Yes, but we just couldn’t reach the core. Is there an argument *against* tolerance and diversity here? Neither spelling creates doubt or ambiguity, and both have some purchase in the existing literature. Either way, therefore, is just fine. If you really, really insist on making one the preferred form, “Coasean” has three points in its favor. 1) It might be slightly more consistent with standard practice in other cases such as “European,” 2) It seems to be the more common spelling, and 3) reading just “Coasean” suggests the name “Coase,” whereas “Coasian” might suggest the name “Coas.” Do we need someone to organize a Liberty Fund conference on this topic? No tolerance, only strict conformity! OK, if you prefer, consider this a vote on the O&M house style. Here we strive for foolish consistency. 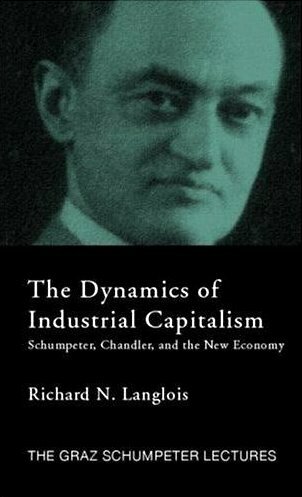 What is the industry standard on Mises? Do we write “Misian” or “Misean” or “Misesian”? But, the really important question: Kleinian or Kleinean? A foolish consistency is the hobgoblin of small minds. Peter, some might say that this blog is Kleinder and gentler. Pigouvian or Pigovian? Do Coasean/Pigouvian have to go together and Coasian/Pigovian? Forget those losers. Is it “Kleinian” or “Kleinean”? In Australia (that is to say, in the southern hemisphere) it is “Kleinean”.